Before I show you my review, I'd like to share some knowledge about this perfume first. 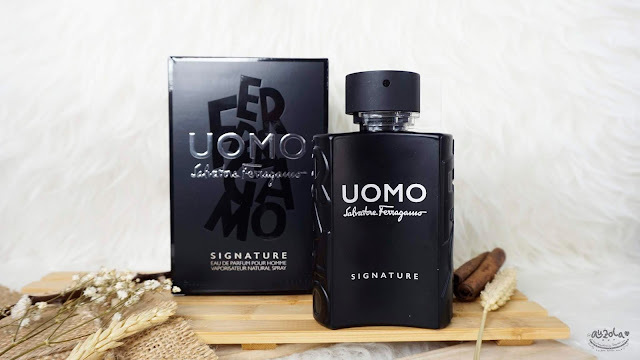 So, you might as well know that this perfume is not the first UOMO from Salvatore Ferragamo, but the 3rd! There are the first original UOMO and UOMO Casual Life. 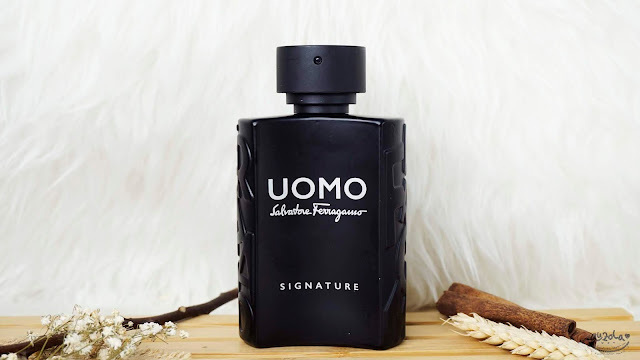 Yup, the third chapter of the UOMO franchise, UOMO Signature, tells of a future Florence where an audacious, ambitious man reaffirms his strong personality and the unmistakable, timeless style of Salvatore Ferragamo. Yeah, it brings us to imagining the future. The story of this man and the new fragrance take place in Florence in 2127, a symbolic date, exactly 200 years after the trip that bought Salvatore Ferragamo back from California to Tuscany, where he had started to build the success of his brand. Anyway, this video reminded me of Tron game. Don't you think? Hahaha. The perfumer for this fragrance is none the other: Alberto Morillas. I have some perfume from this perfumer and i should say, none of the disappointed my nose yet. But then again we all have different preferences. 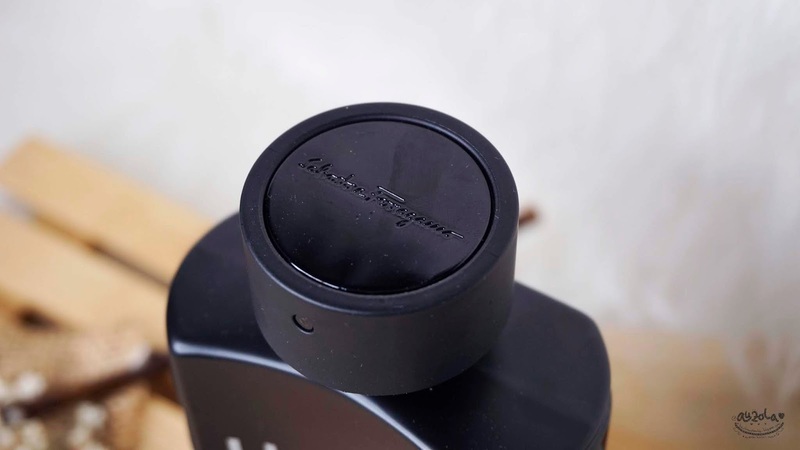 Anyway, Alberto Morillas interprets this trip creating a darker fragrance that leaves a rich and bold lingering sensation, among leathery notes reminiscent of the Florentine tradition and a new sexiness made of Coffee's darkness and Tonka Bean. So now let's jump to the review based on my point of view and my husband's, he loves the parfume from the very first sight that he claimed it. Usually he doesn't want a parfume that much (usually it's my dad or brothers who loves parfume so much). 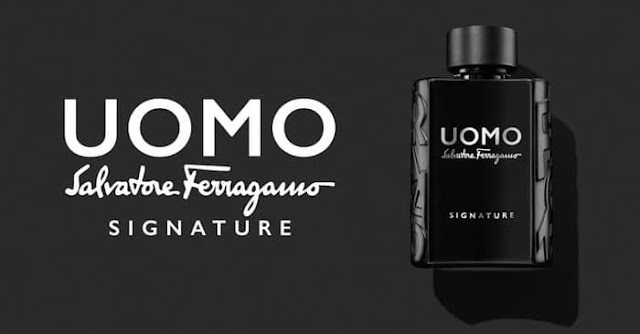 So i guess UOMO Signature captures Ichi right in the heart haha. 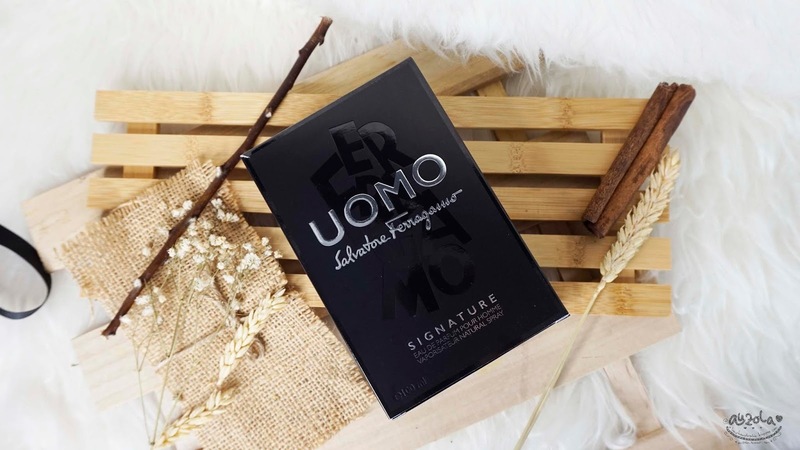 The packaging dressed in a sophisticated total matte black color that recalls the timeless elegance of Salvatore Ferragamo tuxedo. I personally really love the bottle packaging with elegant black, simple yet futuristic. 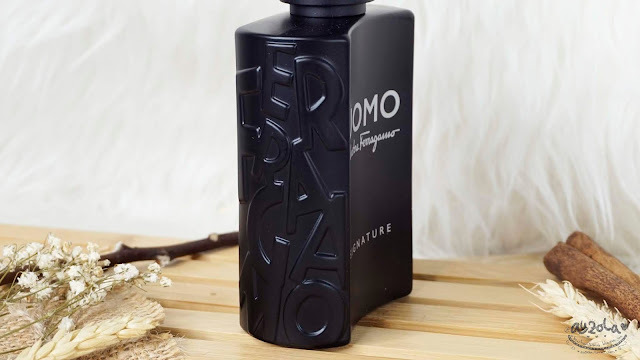 Especially because on the two sides of the bottle, engraved the historic Ferragamo logo designed by futurist painter Lucio Venna in 1930, a reminder of the link the brand has always had with art. I mean, the logo is pretty modern material, it's cool that it has been designed in 1930, don't ya think? Even tho the whole packaging is simple, but i found it elegant and mysterious. Ichi also love the simple and cool packaging. As for the scent i quitelove it! It's fresh, yet sweet and warm. The mixing is quite nice! It smells fresh maybe because of the top notes that contains Grapefruit, Mandarin Italy and Pink Pepper Essence. Then it also feels warm and sweet because of the woody middle notes and deep mixture of the base notes. I guess the scent is mysterious, elegant and charismatic. Ichi loves the scent so much as well, that makes him want the fragrance for himself. Usually he's gonna be like "it's okay, just give it to your dad or brothers", even though he think the scent is nice, but none capture his interest like this one i guess. 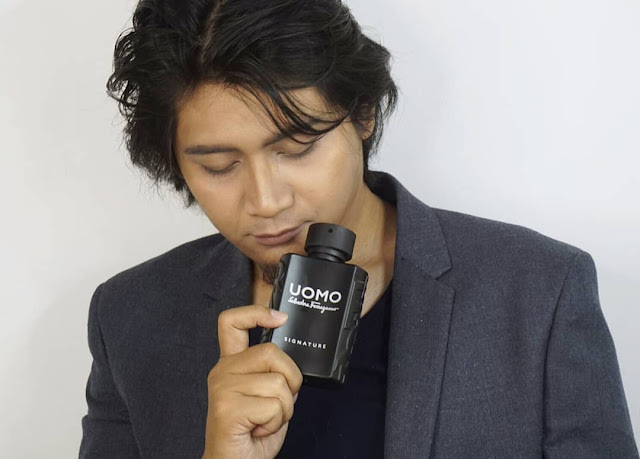 Ichi also mention that this parfume last long, he used it to work (from around 10am-9pm), sweaty and all day long, returned home and still have the scent. So what's not to like? If you like the warm woody fragrance with a hint of freshness i think you'll like this scent! So if you're curious don't hesitate to give it a taste on your nearest dept store and go grab one for yourself when it captures your heart! That's all for now folks, i hope this sparks your interest! See you guys on my next post!